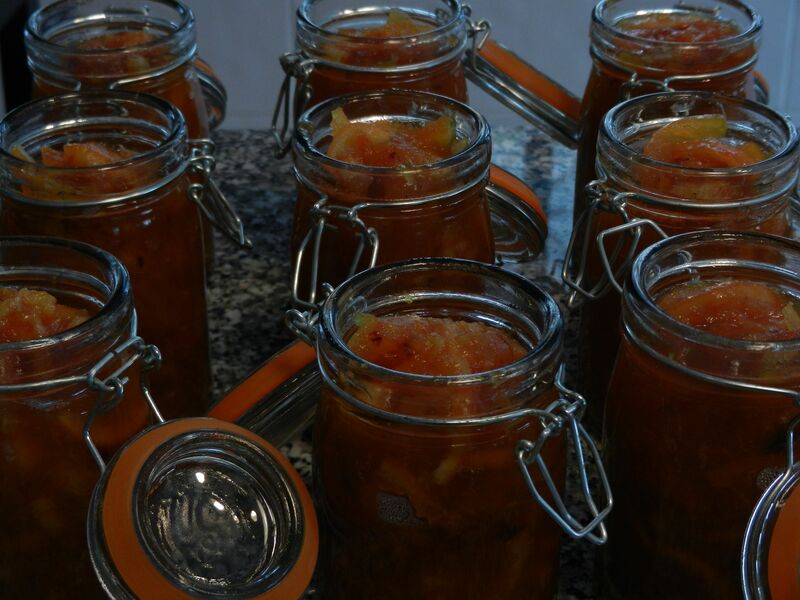 The making of citrus preserves is a rite amongst the Tunisian ladies. At work, various names pop up as the ‘divas of marmalade’ and when I get gifted a sample, from time to time, I am intrigued that they do vary in style and reflect the taste of the cook or likely several generations of cooks in that family. Cook equal parts citrus to sugar until it thickens. 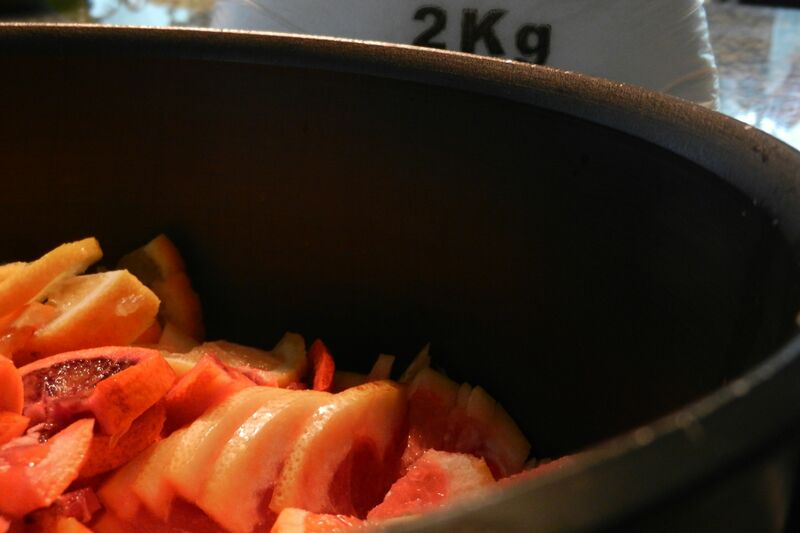 Cook equal parts water and sugar with ½ as much fruit until thickened. Method number one will produce a fruitier jam-like marmalade and number two will give you more jelly, which is beautiful. We only eat a piece of toast with jam on occasion so I wanted to basically jar citrus puree that I can use for a lot of preparations in the months to come. 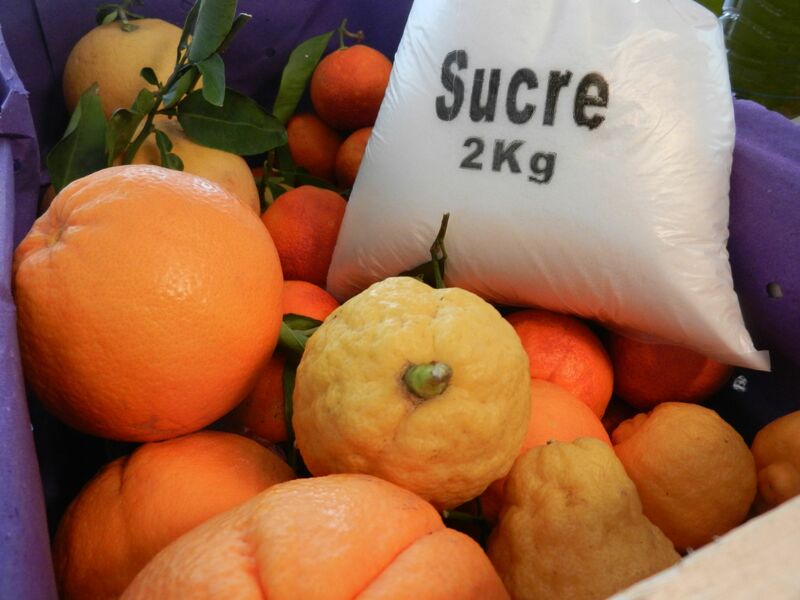 I used about 4kgs of sliced citrus to 2 kgs of sugar and cooked it down until thick. Where the art comes in here, is in the selection of the citrus. I do apologize to my friends who can’t get anything but basic grapefruit, oranges, and lemons at your local grocery store, but try to appreciate the diversity of some of these varieties that exist. My friend, Fatima, gave me the insider combination for getting a range and depth of flavor. Through some comical inquiry, I was able to round up all six of these at my market yesterday. 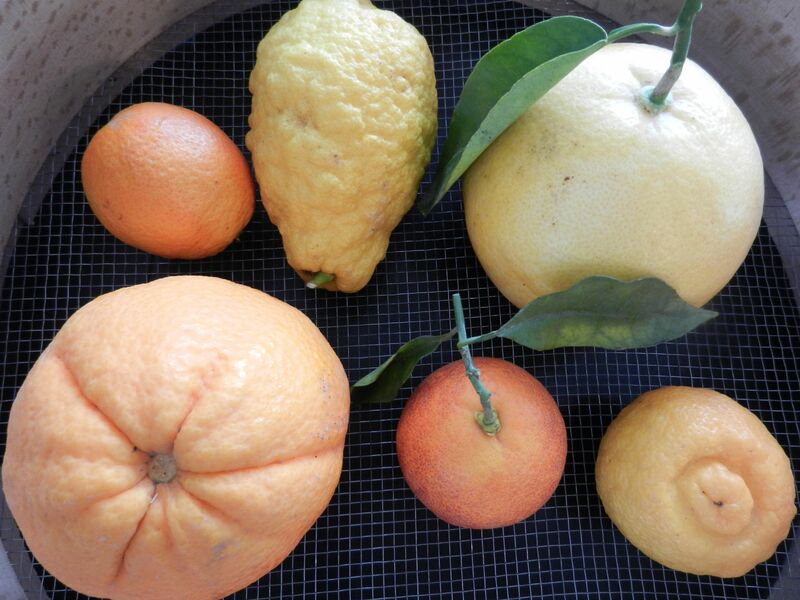 Beginning at the top, right, there is pink grapefruit, bergamot orange, blood orange, navel orange, bitter orange and finally, there is a strange-looking lemon that she only knew the Arabic name for: trong. You can combine these in any proportion you want. I wanted to emphasize the bitters in these preserves so I went easy on the navel and blood oranges and pumped up all of the others. Bergamot is going to add a bit of mystery, contributing an Earl Gray tea essence, which is also a bitter. Puree one jar of preserves with 3-4 roasted green chilies for a salsa or marinade for braised or grilled meats, thinning as desired with chicken or vegetable stock. Puree one jar to use in citrus cakes, muffins, or pies. This sounds lovely! I’ve been meaning to get some preserves going before the season ends. I better get a move on! I kind of envy the possibilities of your time, next week. I could use a stretch of days to catch up with myself.